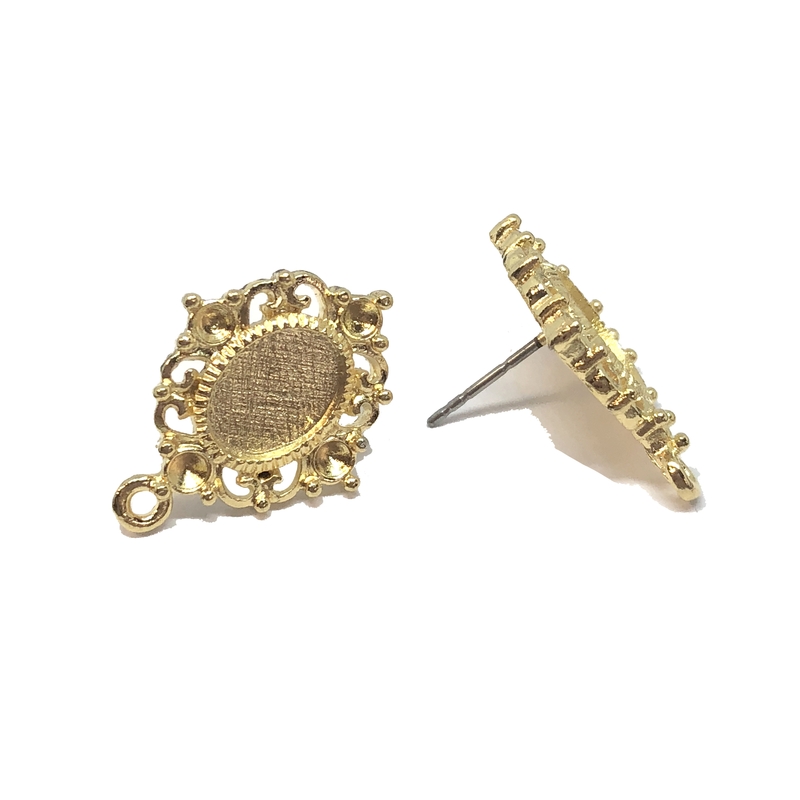 Earring stud with accent drop, 22K gold finish pewter, Victorian style, pewter castings, B'sue by 1928, oval design, US made. Measures 22 x 16mm. (measurement includes end hole). Victorian style with filigree border and four (4) stone sets. Center oval stone set (about 6x9mm) with drop accent, perfect for a dangle. Post measures about 10mm with three notches for thin to thicker ear lobes. (without ear nuts). Just lovely. Has the 1928 signature design on the back. 22K Gold Finish is a rich bright gold wash over the pewter. Very strong and sturdy, it is lead and cadmium free as are all our finishes at B'sue Boutiques.